Buying a house is a momentous time in your life! From the moment you decide to purchase a home until you sign on the dotted line (many times) at closing, it's an exciting process. If you've never purchased a home before, there will be some unknowns, but that's what your realtor is for. We're there to walk with you through the entire process, until you have the keys to your new house in your hand. 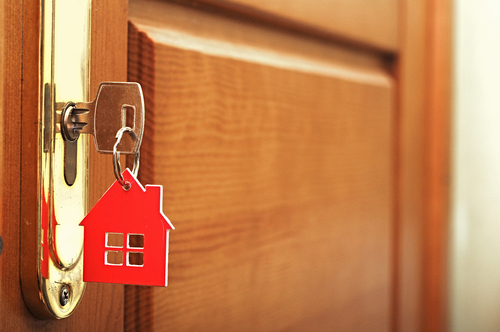 If you've never experienced a house closing before, you obviously won't know what to expect. Here are some things that you'll want to keep in mind as you're scheduling your closing. Some home buyers will schedule their closing over their lunch hour, but we advise against that. It can take time to get all of the paperwork in order, so we suggest planning for a few hours or taking a half-day off work. If you are renting, you'll want to schedule the closing around the time your lease ends. If your plan is to do some work on your new home before moving in, pick a date a couple of months before you have to move from your rental. If you'll be moving out of a house that you are selling, you'll be juggling two closing dates. Most people need the money from of the first house in order to pay for the second house, so schedule your closings accordingly. You'll want to schedule your closing before your loan commitment expires (specified in your letter of commitment, if you received one). You'll also need to schedule it before any rate lock agreement on your loan expires. If you plan to move on the day of your closing, schedule the paperwork as early in the day as you can so that you have ample time to do everything you need to accomplish that day. Just before the scheduled closing—ideally within 24 hours—you should plan to make a final inspection of your home with your real estate agent, ensuring that no recent damage has occurred and that the seller has honored all repair agreements. So you'll want to make sure that you have space in your calendar within 24 hours of closing to do your final walk through. People often think that the best day of the month to schedule a closing is on the last day of the month, but we like to schedule them a few days before, just to allow time to address any last-minute problems. If something goes wrong, you would want a few days to resolve whatever may have surfaced. If you wouldn't be able to close on the last day of the month, you would accumulate increased closing costs beginning at the start of the next month (due to prepaid interest due at closing). If you are scheduling a closing at the end of the year, keep taxes in mind. Any points and interest paid before the New Year can become deductions for this year's taxes. Check with a tax advisor for the timing of any other deductions. If you have additional questions or need help scheduling your closing, don't hesitate to give us a call. We love walking people through this exciting time in their life!